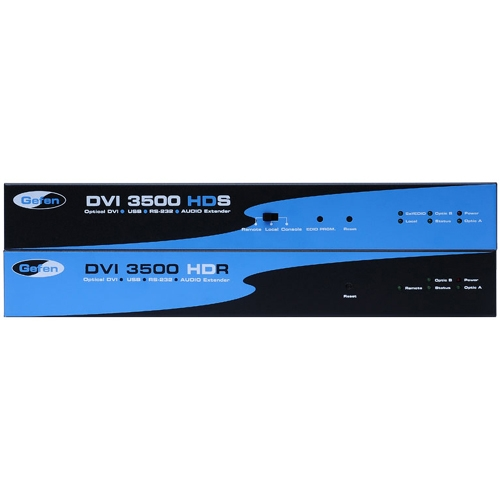 The EXT-DVI-3500HD KVM Console/Extender allows you to operate a single DVI-compliant computer at two physical locations. DVI, USB, analog audio, and RS-232 are extended from the local computer to the remote workstation. USB peripherals can be operated by the computer at either location exclusively.